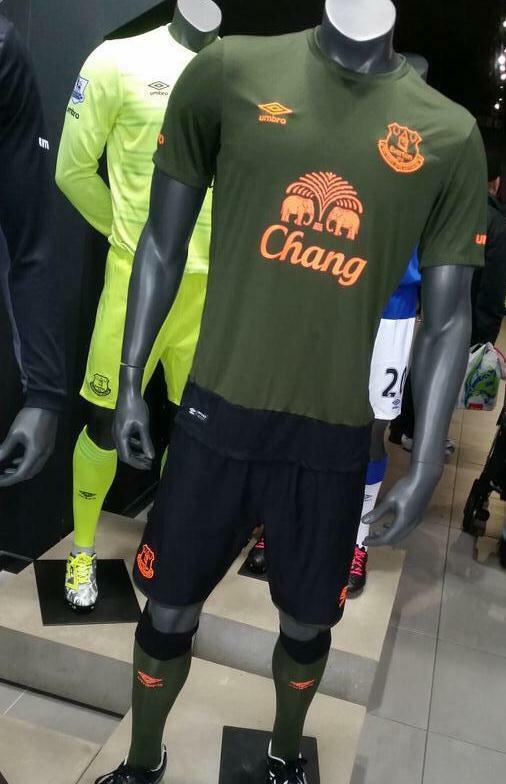 This is the new Everton third kit 2015/16, EFC’s new second alternate strip for the upcoming Premier League season. 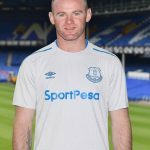 Made by Umbro, the new Everton third shirt was officially unveiled on July 31, 2015 and will be first worn by the Toffees when they take on Southampton at St.Mary’s in mid August. The Toffees have just returned from a pre-season tour of Asia, where they lost the Barclays Asia Trophy final to Arsenal in Singapore. 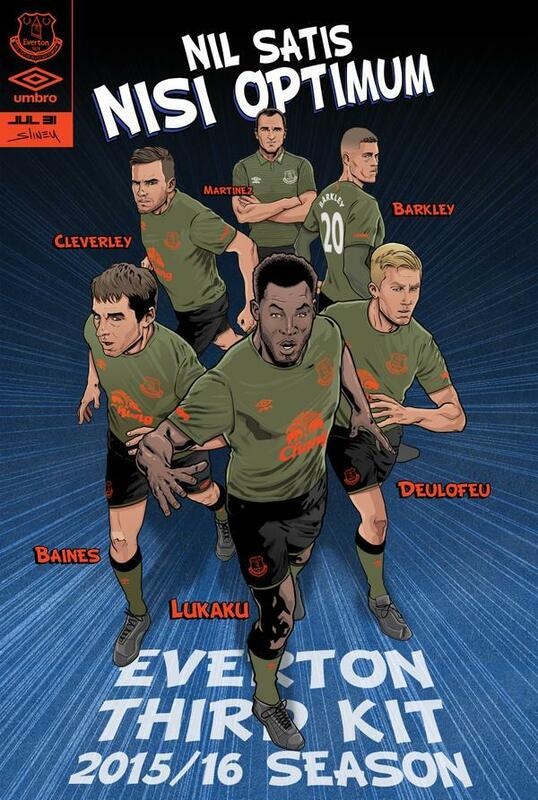 Everton and Umbro have opted for a rather novel way of unveiling the strip, commissioning Marvel Comics illustrator Will Sliney to create drawings of the players in the third kit. The Cork based artist is an Everton fan and has created a bespoke drawing featuring players Ross Barkley, Leighton Baines, Tom Cleverley, Gerard Deulofeu, Romelu Lukaku and club manager Roberto Martinez. 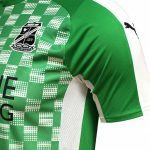 The third jersey will be green- the first time in Everton’s history that they’ve worn green as an outfield shirt, and is paired with black shorts and socks. The Umbro and Chang logos will be in orange on this crew neck shirt, which also features mesh underarm panels for greater fit and comfort. This entry was posted in English Premier League and tagged Umbro on July 31, 2015 by Football Kit News. Everton should make another poster like that next season, that kits looks stylish. great promotional. 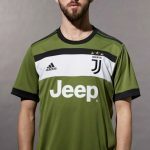 that’s how to advertise a kit release! Interesting release to say the least! Kit wouldn’t be too bad but the orange logos were a bizarre choice. I think this is terrible, especially the lower part of the shirt that is black.